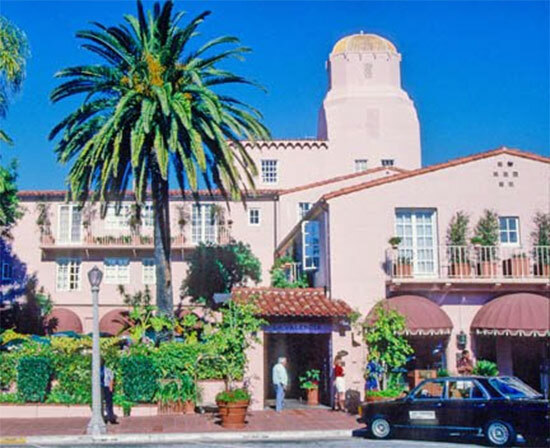 Here’s a quick run-down:In La Jolla, the beautiful La Valencia Hotel (pictured here) and the beachfront Marine Room Restaurant have great Easter brunch buffets, but they are kinda pricey. A budget-minded friend of mine just booked brunch at The Shores Restaurant at The La Jolla Shores Hotel. It offers the same sand and sea view as the Marine Room and the buffet costs $42 for adults and $22 for children 12 and under. This is a great place for families, as the hotel is very kid-friendly (8110 Camino Del Oro, 858- 456-0600). They are serving from 10am – 2:30pm. If you decide to splurge, the buffet at the Marine Room is $55 per adult and $27.95 per child. La Valencia’s extravaganza is $75 per adult and $32 per child. Roppongi Restaurant & Sushi Bar at 875 Prospect Street in the village offers another option. Here, the price is $39 per adult, $25 per child (12 and under), but there’s no beach view. They are serving from 10:30 am – 2:00pm. (858) 551-5252. The Steakhouse at Azul on Prospect Street is offering their regular Sunday brunch menu (not a buffet) from 10am -2:30pm. Main course items range from $12- 26 and include a complimentary glass of champagne. If you dine here, try to get one of the tables with a water view. Alternatively, you could put together a picnic, gather all your bunnies, and enjoy the scenery from Ellen Browning Scripps Park, The Cove, or Kellogg Park at La Jolla Shores. 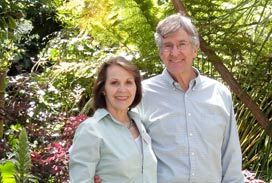 Whenever you dine, I hope you enjoy Easter in La Jolla.